This friendly family shop is well-established. You can enjoy many fresh and seasonal toppings sourced from Toyama Bay at a reasonable price. 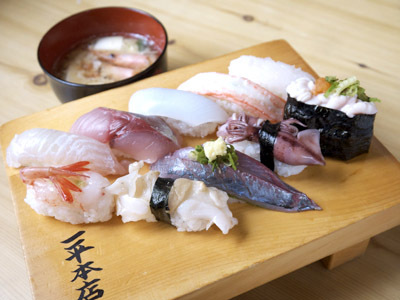 The shop's famed glass shrimp, boiled eel pressed sushi, value lunch menu, and chef's courses "Jinzu" and "Tateyama" are very popular.